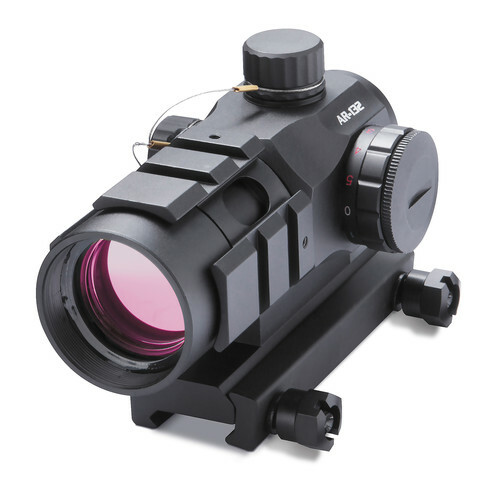 The 1x32 AR-132 Red Dot Sight from Burris Optics is designed as a 1x magnification optical sight with a 4 MOA red dot reticle and 10 brightness settings. The 1x magnification lends itself to both-eyes-open sighting. The optics are anti-reflective and fully multicoated. The illuminated sight is powered by a CR 2032 battery.